The multi-stranded threads of family and romance that wind their way through each of our lives are explored, celebrated, and interrogated in the 21c Museum Foundation’s current exhibition. From Louise Bourgeois’s searing childhood drama to Bill Henson’s provocative, mysterious vision of young love, to Will Ryman’s sculptural staging of an interminable Family Dinner, these works examine the tension, the tenderness, and the inescapability of our most essential relationships. We are born connected to others, as Max Streicher’s Trio in a Box so poignantly illustrates. The struggle to create a unique self fosters an endless cycle of attraction and repulsion, of defining and denying boundaries at once. Communication, verbal, physical, and otherwise, is the essential tool for both self-expression and for connecting with others. 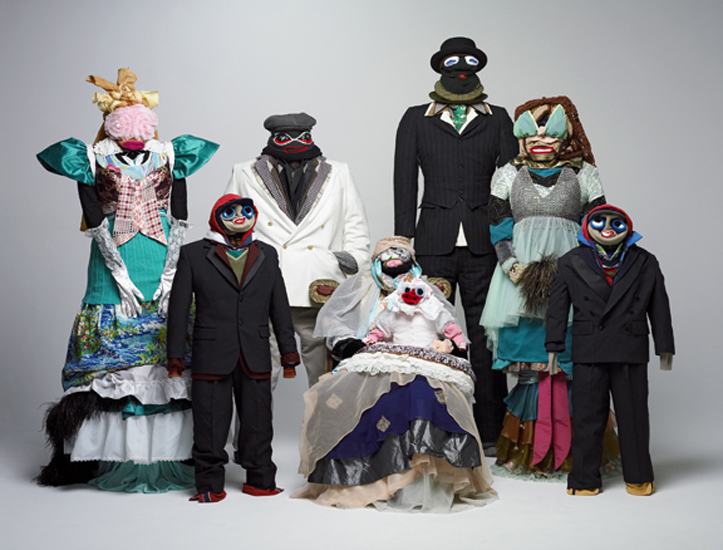 Several of the works included examine the complex ways in which both individuals and groups speak, touch, and reach outward and inward – attempting to create and conceive a conceptual place as unique beings and in communion with others. This labyrinthine exploration of communication and individuality is examined by Kenneth Feingold’s talking heads sculpture. Who is the You of the title? Is it one of the heads, or is it the viewer? Eva Koch’s evocative video Approach offers a celebratory invitation to marvel at the human drive for communication, for a communion between self and others that is seen, heard, and felt. The works in this exhibition offer us an unashamed glimpse of those bonds of family and loved ones that are embedded within us. Using materials that both repel and attract, Andres Krisar explores an introspective view of our most instinctive family connections. While Guerra de la Paz, on the other hand, achieves an almost whimsical approach – through their use of reclaimed materials, they explore the human condition and family ritual. Displaying an unfamiliar or sometimes disturbing insight, these artists allow us to marvel at our own hindrances and uniqueness that make us undeniably human. Tangled Up In You marks the second year of exhibitions held in the first floor gallery at 21c MuseumHotel. This exhibition will include a multitude of works in sculpture, photography, painting, printmaking, and video. Please check 21cmuseum.org for updated information and events related to this and other upcoming exhibitions. about the artist: Guerra de la Paz is the composite name that represents the creative team efforts of Cuban-born artists, Alain Guerra and Neraldo de la Paz. What began as an idea for two individual artists to share a working studio in Miami's Little Haiti, has become an ongoing collaboration that has evolved into constant experimentation.The recipient of the 2008 SCOPE Foundation Grant for artist project “Under the Banyan Tree,” they are are represented in the Saatchi Collection (London), 21C Museum Foundation (Louisville, KY), Frost Art Museum (Miami, FL), Miami Art Museum (Miami, FL), and The Cintas Fellows Collection. 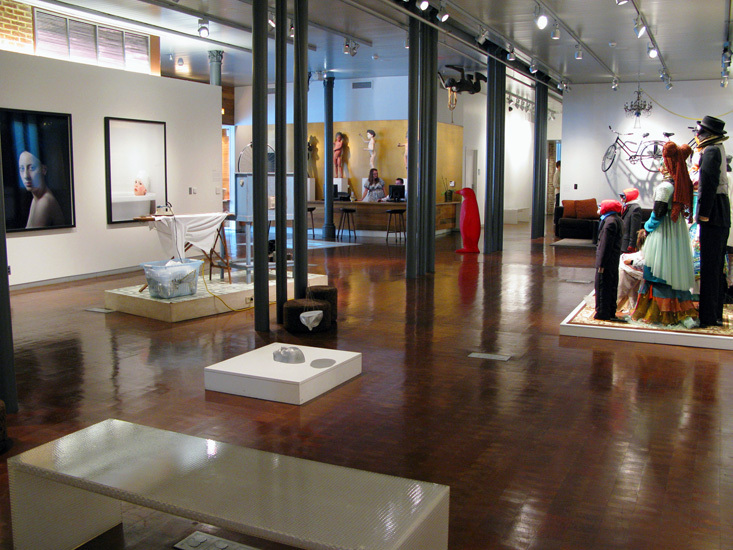 about the gallery: 21C Museum is a non-profit, collecting institution and manages the museum within the 21c MuseumHotel. 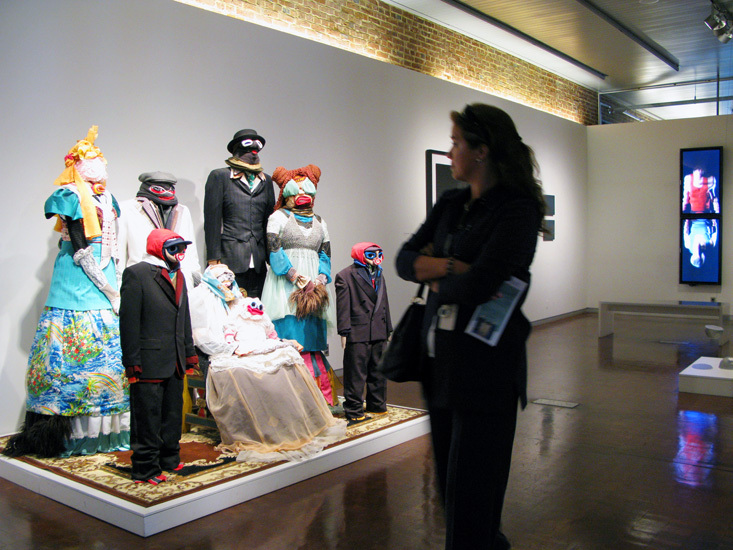 21c Museum is dedicated to collecting and exhibiting the very best work of living artists from all over the world. With over 9,000 square feet of exhibition space, as well as a dedicated video lounge, the museum features dynamic group and solo exhibitions, as well as permanent, commissioned installations.